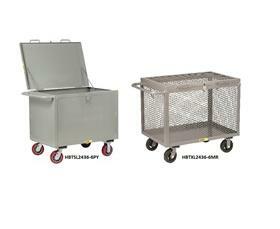 All-Welded Box Trucks With Hinged Lid | Latta Equipment Company, Inc. Bulk storage and transport trucks have 24" interior height. Hinged top cover has padlock hasp for security. 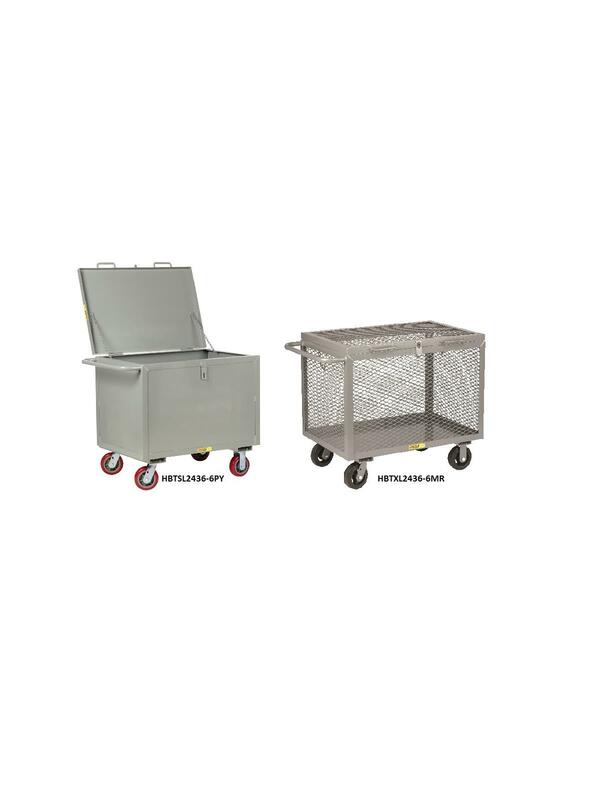 Available with 2 and 2 rigid, 6" x 2" mold-on rubber or non-marking polyurethane casters. Sheet Steel Trucks feature 14 gauge steel sides in angle iron frames. Expanded Metal Trucks feature angle iron frame with 3/4" expanded metal sides for greater visibility and airflow. FOB Shipping Point.